I wasn't aware of it but the dossiers are quite well known. I'm sure somebody else has made the connection and pointed it out before. Last edited by agg cook on Sun Jun 10, 2018 4:06 pm, edited 1 time in total. That's true about androids bleeding milk, but maybe those androids are made by WY and Tyrell makes more advanced androids. Either way, looks like the argument will rage on for some time. It’s funny that they go on and on about Tyrrel’s Replicants being robots like Ash or Bishop when the very screencap they’ve posted from the Prometheus website has Weyland more or less explicitly identifying them as genetically engineered humans. 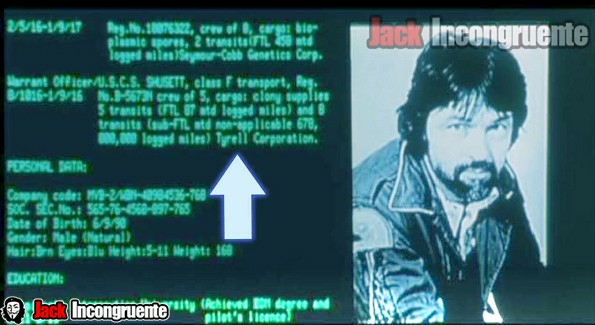 Also, Weyland-Yutani is a British-Japanese conglomerate, not American!